I read this article and found it very interesting, thought it might be something for you. 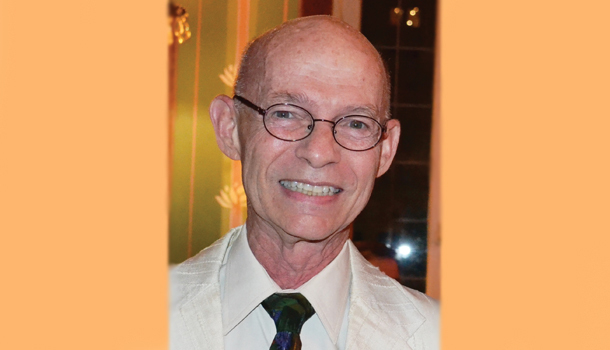 The article is called Remembering Bart Truxillo: LGBT Community Mourns Houston Preservationist and is located at http://www.outsmartmagazine.com/2017/05/remembering-bart-truxillo-lgbt-community-mourns-houston-preservationist/. A Man of Great Heights | Bart Truxillo, who passed away in April, basically saved the Houston Heights, turning it into the charming, sought-after zip it is today. On Wednesday, April 19, Houston’s LGBT community—and indeed, Houston at large—lost one of its most intriguing citizens and passionate advocates of historic preservation. Beloved Barthel “Bart” Truxillo passed away suddenly from an aneurysm at the age of 74. Truxillo was a gracious man with a quiet but unrelenting appetite for life and love. His energy was nearly limitless, and his friendship a treasure to the many who basked in it. He will be sorely missed. “When I moved to Houston, Bart was one the first people I met. He made me feel welcome from the start,” says Tanner Williams, president of The Diana Foundation. The foundation was launched in 1953 to raise funds for Houston’s LGBT community, and played a powerful role in the growth of numerous organizations over the years. Once a large, rundown Victorian, Truxillo renovated a unique Heights home that featured an aviary, fish pond, and a signature Victorian turret complete with a spinning disco ball inside. Truxillo graduated from the University of Houston in 1965 with a degree in architecture. In 1968, he bought the dilapidated 1910 Magnolia Brewery at the corner of Milam and Franklin streets downtown. At a time in Houston’s history when beautiful old buildings were normally “scraped”—dissolved from sight, mind, and history—Truxillo had a better idea. He breathed life back into the brewery with an extensive restoration, created a stunning event space, and named it the Magnolia Ballroom. Truxillo then sought and received Houston’s first Historic Landmark Designation for his building. Additional historic structures were eventually recognized after Truxillo teamed up with a handful of like-minded Houstonians in 1978 and founded the Greater Houston Preservation Alliance. Now called Preservation Houston, the agency works tirelessly to maintain the character of Houston’s historic areas and save its structures from the wrecking ball. “When Bart started in preservation, Houston did not have a preservation ordinance, no historic districts, and no designated landmarks. It took an enormous grassroots effort to make things change. Bart was composed but fervent, [and] he and his small group made it happen,” says David Bush, acting executive director of Preservation Houston. There are many who also credit Truxillo with saving the Houston Heights. He was originally active in Montrose, but in 1974 Truxillo was introduced to the Heights. He had never before ventured into that badly decaying community, but he soon purchased a large, run-down Victorian home on Harvard at 18th Street and started his renovation magic all over again. Today, Truxillo’s Heights structure—his personal home for more than 40 years—incorporates elements reflecting its owner. There is a large walk-out aviary off the kitchen, replete with doves and finches. A fish pond in the yard backs up to the house, and a window was installed in the basement so Truxillo’s guests could watch the fish. And the magnificent Victorian turret that rises above the roof of the home hosts a spinning disco ball inside. The home is now listed in the National Register of Historic Places. Soon after its renovation was complete, other pioneers in the Heights started renovating, and the community’s decay slowly reversed. The Heights now has three official historic districts, and the entire area is considered a highly desirable community in which to live. “If you live in the Heights today, it is probably due to Bart Truxillo,” states Maverick Welsh, a longtime friend of Truxillo’s and former chair of Houston’s Archaeological and Historical Commission, a 13-member all-volunteer board that issues City Certificates of Appropriateness and reviews Historic District, Landmark, Protected Landmark, and Archaeological Site designation applications. One of Truxillo’s dearest friends, Michael Kemper, will feel his loss for years to come. “I met Bart in 1974, and we’ve been close friends ever since. Bart was a quiet man, and often operated behind the scenes. He never sought the limelight. He was slight in stature, but he was passionate and forceful in nature,” Kemper explains. “Bart was also very intelligent and incredibly generous. At one time, he owned hundreds of properties in Montrose, and when he had friends who needed help with a place to stay, he would invite them to stay at one of the properties for as long as needed. When you were Bart’s friend, there was nothing he wouldn’t do for you,” Kemper says, fighting back tears. As for Truxillo’s personal life, it is as interesting as everything else about him. “Bart was bisexual,” says Kemper, who is openly gay. “He had a life partner whom he loved, the former curator of the Bayou Bend Collection, Michael Brown, who preceded him in death in 2013. As one would hope for someone who made such a positive impact on Houston, Truxillo is interred at the historic Glenwood Cemetery in his beloved Heights. Fittingly, he will be surrounded by historic landmarks for eternity. Rest in peace, remarkable Bart Truxillo. You are loved. Editor’s Note: Below are scenes from the memorial service for Truxillo on April 24, courtesy of OutSmart contributor Brandon Wolf.